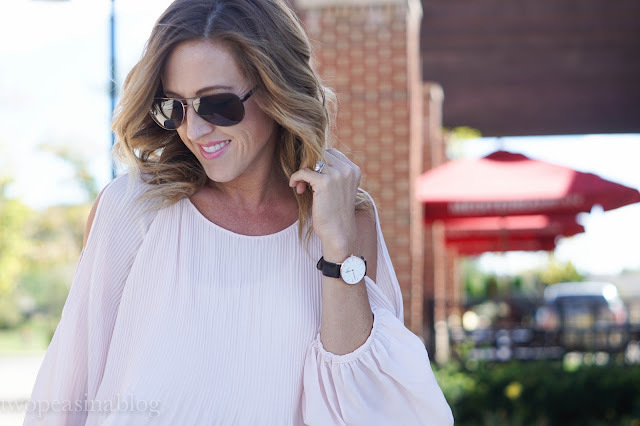 How pretty is this soft pink pleated blouse? I'm obsessed. It's the type of blouse that looks fabulous for day or night. I paired it here with black jeans and accessories to give it a little edge. However, I love the softness and know it will look fabulous paired with jeans, gold jewelry, and cognac accessories. As the weather gets colder, throwing a scarf or jacket over your shoulders will help carry this through chilly Fall. My son has been working hard to solve his rubix cube. He's been watching YouTube videos and having fun creating fun patterns and then trying to solve it back to normal. He has yet to completely solve the puzzle. (He ends up taking it to a friend or Betsy's son, Carter, who sets it back for him.) Yesterday he got a 5x5 rubix cube - that's crazy! I don't know how anyone could solve it! He created a checkered pattern on it. Anyway - enough rambling. Can you solve a rubix cube? We watched some videos where people solved it in 5 seconds! 5 seconds! That's unreal. Today's feature blogger is Amy Ann who writes Straight A Style. She is a mom-to-be and is quite the fashionista. We love her post here on unique jackets for Fall! Doesn't she look stunning? I could never do the rubik's cube...unless I changed the stickers on it---ha ha! I've been finding a ton more olive green lately---it's such a perfect fall color! thanks for some great color schemes on what to pair it with. Love the cold shoulder top! It's so feminine. 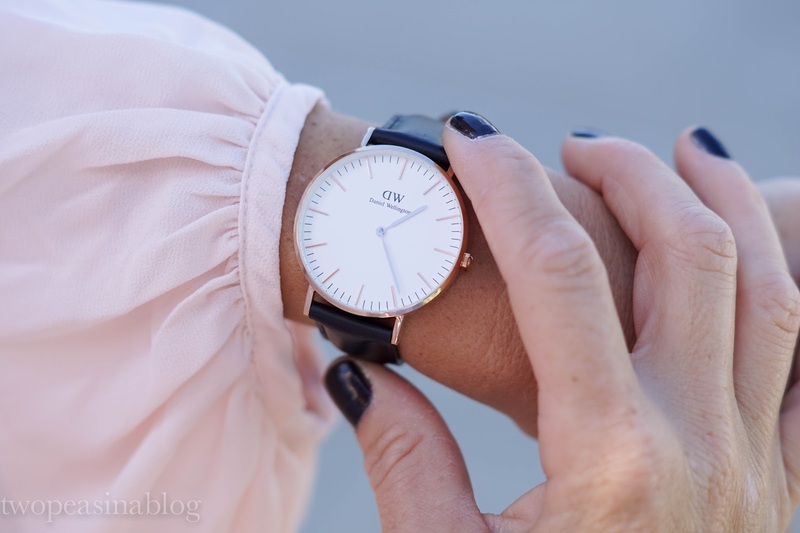 And how chic is that watch! Gorgeous top, this color is so stunning even for fall. I have this ASTR top and love the shade of pink it is. I wore it on the blog a few weeks ago and paired it with white pants and tan booties. I love it with the black...so fun and now you've given me another idea to pair with. You look gorgeous!! That is a pretty top. I love the color and the flow of it. Oh my gaaaah! 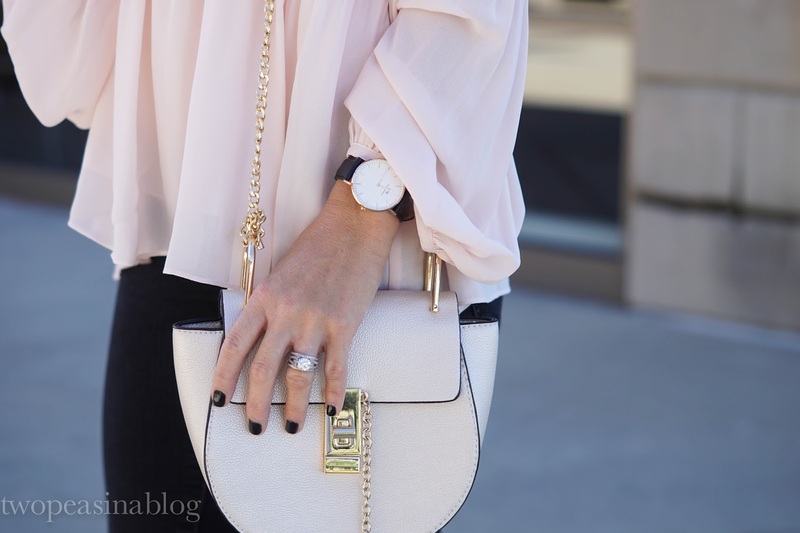 I am CRUSHING over this blush pink blouse. This is soooo my style! Thanks for sharing and hosting the link up as well. Ha- my son has been obsessed with the rubix cube this week...very cute. I love the cold shoulder! I used to be able to solve a rubix cube, but it's been a few years. My husband has a 5x5, and he says it's not actually that much harder than a 3x3. The one that is really difficult is the 4x4, I guess because there's no middle square, so the method is really different. Thank you for hosting! I would love it if you would join my new linkup! Love that top. Andrea wore it on Living on Cloud Nine and I love how you ladies styled this top different ways.